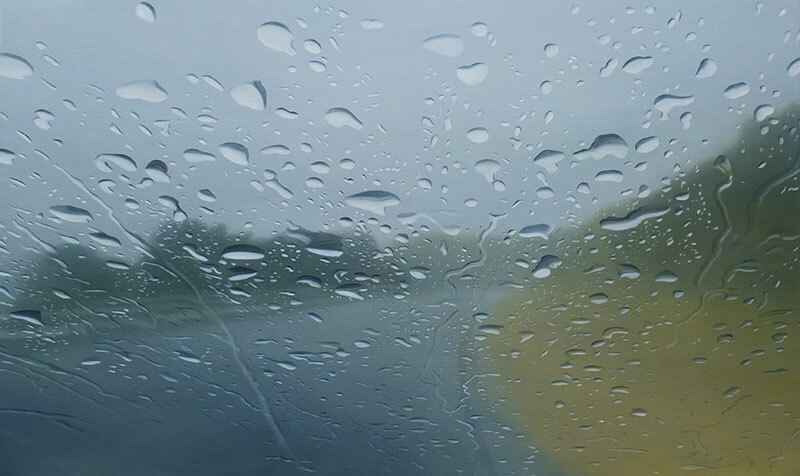 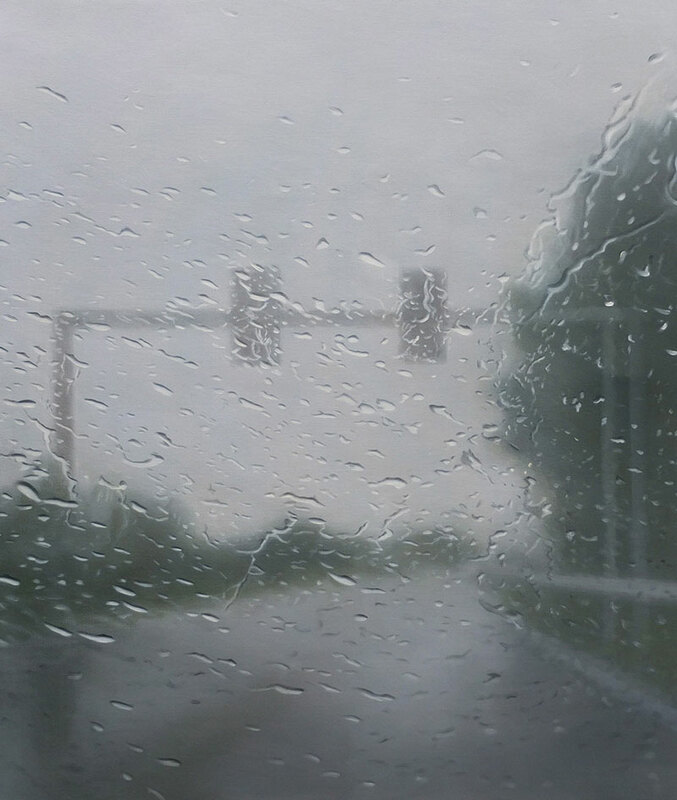 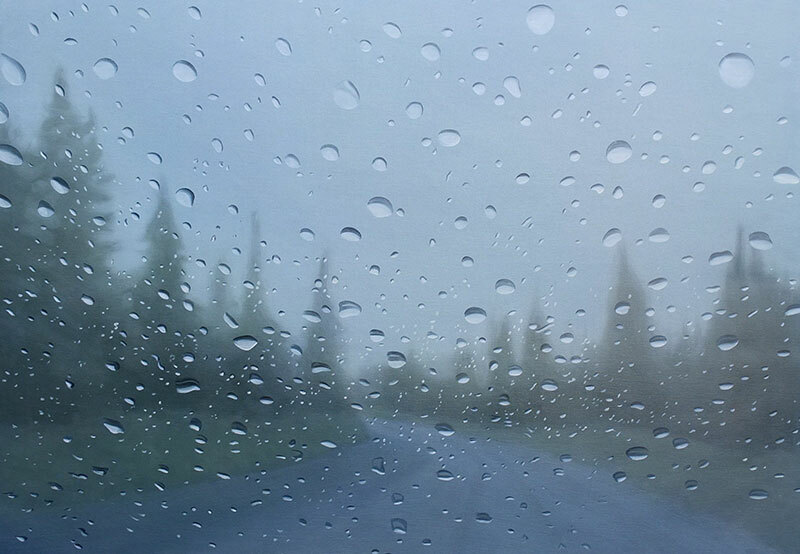 Paintings of rain-soaked street scenes as seen from behind the windshield of a car by Dutch artist Esther Nienhuis. 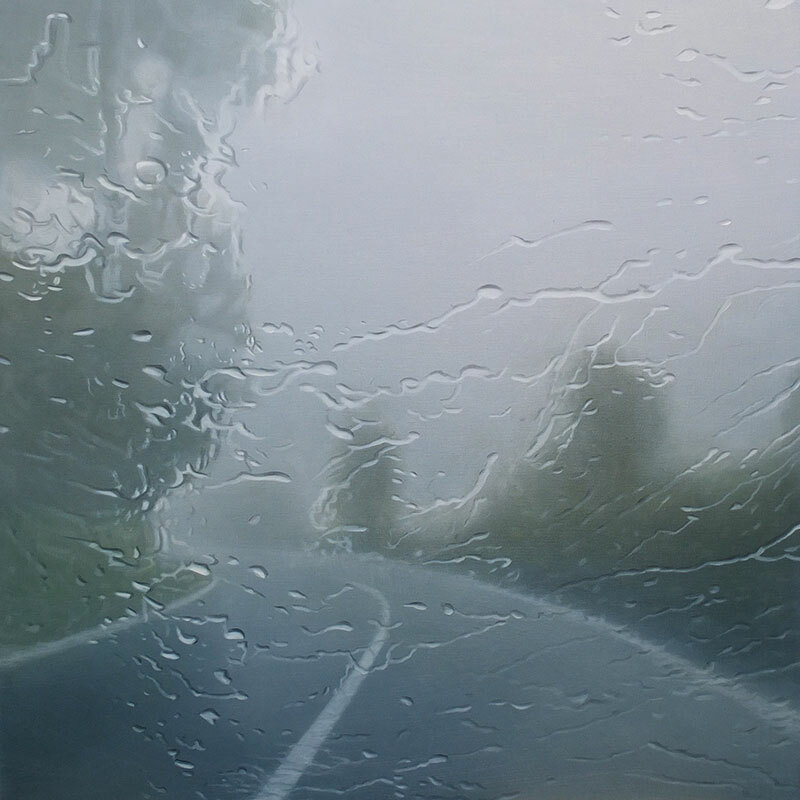 The paintings remind me of the work of Gregory Thielker and has that nostalgic feel to them as driving on a long stretch of highway under heavy rain comes to mind. 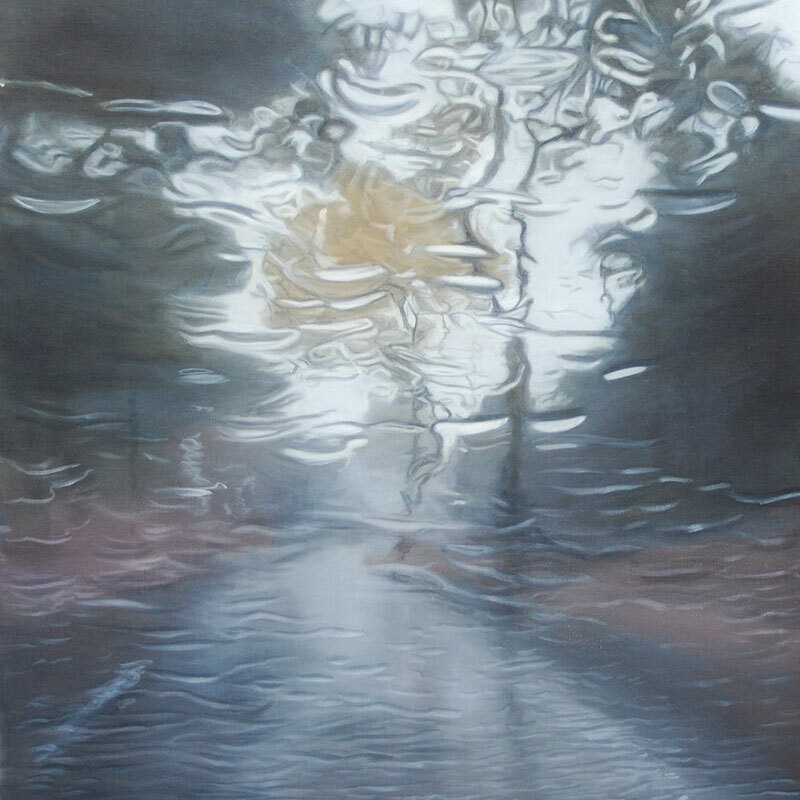 Nienhuis regards the desire to be elsewhere as the essential characteristic of her work. 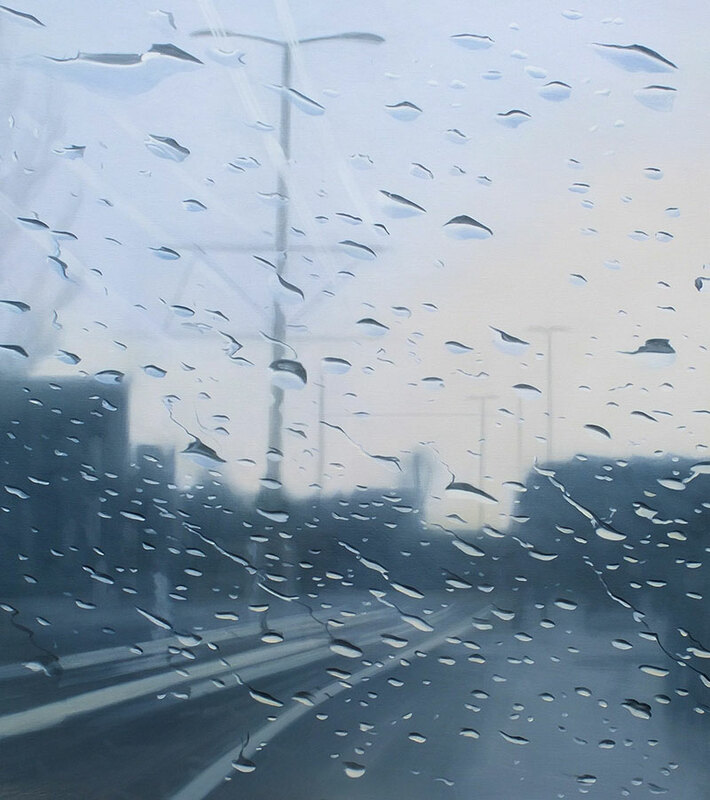 She states, "The urge to leave behind inevitably implies loss and farewell. 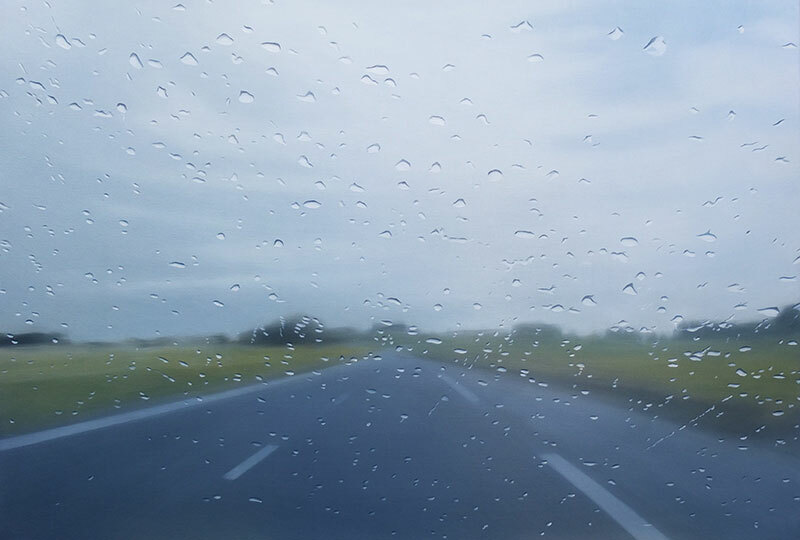 I want to make the metaphorical boundary perceptible that isolates the here and now from other realities—past, future or imaginary." 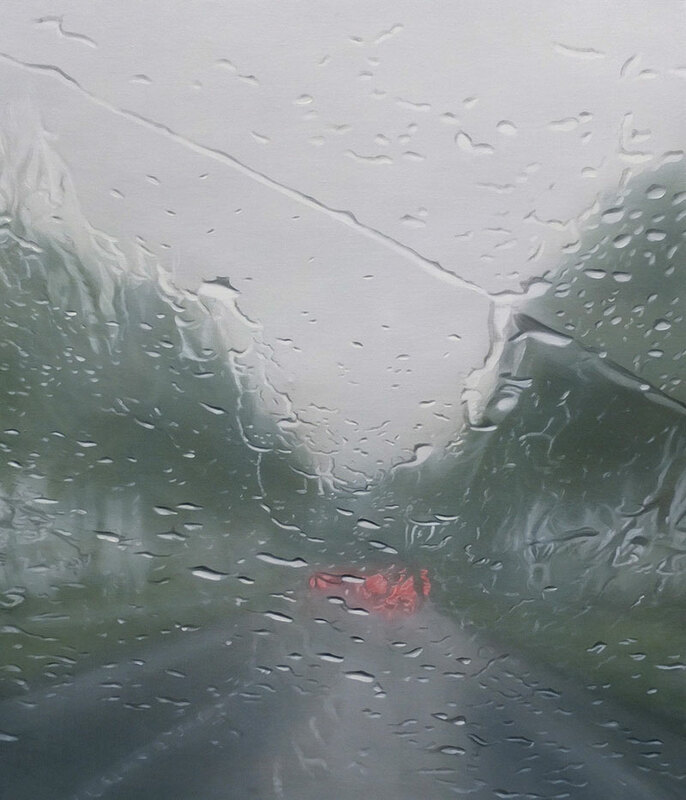 Paintings of rain-soaked street scenes as seen from behind the windshield of a car by Dutch artist Esther Nienhuis.